Nottingham City Health and Wellbeing Board is urging more local organisations to commit to change how we think and act about mental health in the workplace by signing the Time to Change Employer Pledge. Looking after the mental health of employees helps to tackle stigma and can make a real difference to sickness absence rates, staff wellbeing and productivity, and retention. A meeting of the Health and Wellbeing Board on Wednesday (30 January) will appeal for more Nottingham organisations to sign the employer pledge. Nationally, 95% of the 1,000 employers who signed up said it had a positive impact on their organisation. 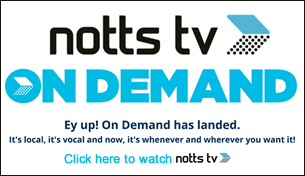 Nottingham Time to Change Hub, hosted by Nottingham City Council and co-ordinated by Self Help UK, was launched in March 2018 and is currently working with more than 30 local employers. In addition, the hub has supported more than 70 people to become Time to Change Champions who encourage others to talk openly about mental health in their local communities. The Health and Wellbeing Board will discuss ways to get more organisations involved in Time to Change – and will hear how the mental health of people who work in Nottingham should be as important as their physical heath. Cllr Sam Webster, Chair of the Health and Wellbeing Board, said: “We don’t talk about mental health enough; it’s something we just don’t do – and we have to change that. “If someone has a cold or flu, they will openly discuss symptoms and effects in minute detail – but if someone is feeling stressed and anxious or is struggling with their mental health then we won’t talk about it. “Our work with the Time to Change Hub is allowing us to have more open and honest conversations about mental health. But we have to do more to reduce the stigma that surrounds it. One in four people in the UK experience a mental health problem each year. In Nottingham, more than 110,000 adults aged over 16 will experience mental health problems. Those with serious mental illness are likely to die 15-20 years younger than the general population. In Nottingham, mental wellbeing is lower where deprivation is highest. Cllr Webster added: “A lot of good work is happening locally – and the new NHS Long Term Plan announced this month has also set out the national commitment to improving mental health. But there’s so much more we can do, and I believe this has to start with a shared commitment by the Health and Wellbeing Board to ensure the staff in our own organisations and supported and cared for. Do more to support people with a past traumatic experience of mental health. 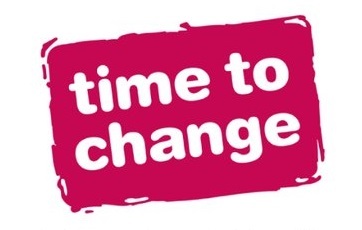 Time to Change hubs are networks of local organisations and individuals committed to ending negative attitudes and behaviours towards people experiencing mental health problems in their communities. Putting people with personal experience of mental health problems at the heart of their work. The Self Help UK Annual general meeting is taking place on 7 February 2019 to coincide with Time to Talk day. All are welcome to attend at 3.30pm at the Mechanics Institute, North Sherwood Street, Nottingham. The full Health and Wellbeing Board report on Mental Health can be read here. I’m no stranger to mental health. My uncle battled with bi polar his whole life. He felt ashamed to say what he was going through and so he hid it as much as he could. He was sectioned, trialled various medications and also made several attempts to take his own life. I remember thinking he wouldn’t ever really die, it was just a cry for help. How stupid of me. One October he made his last attempt and the world had to say goodbye to a son, uncle and father. I spent my time consuming myself with helping my family cope so I could cope. Years later, I was diagnosed with PTSD. I hadn’t been a stranger to struggling with my mental health, but this was different. I felt useless as a health professional, mother and friend. A happy bubbly woman that had everything to live for, yet I just didn’t want to be here. All I wanted was to speak to my uncle. I remembered how my uncle consumed himself in learning and charity work. I read his notebook and I searched the internet for ways I could be around other people that were going through what I was. I read anything and everything about mental health and then I came across the Time to Change Nottingham Hub. It was at its starting phase and I needed to be in a room of people that had possibly felt the feelings I had, experienced stigma but who but didn’t want to just sit back and accept it. People that wanted to challenge the stigma, change attitudes and help others. So I joined them and suddenly I had purpose, direction and belonging. Being a champion has really empowered me to own my diagnosis without fear or guilt. I’m never afraid to say if someone’s language makes me feel uncomfortable. If someone spoke badly of someone with cancer or because of their race, we wouldn’t accept it. Negative terminology around mental health is no different; my mental health is my identity and it’s nothing to be ashamed of. It has taken a lot of self-care, medication and therapy but the most powerful thing has been the unity of our amazing Champions who work so hard in our city. It’s pretty beautiful and I know this is only the beginning for the changes we will achieve as a Hub. I know that my story matters because it can help others find light in darkness and I think that’s an important message. You never know who needs your story. As I always say: love and light, keep up the fight, we can break stigma if we unite!